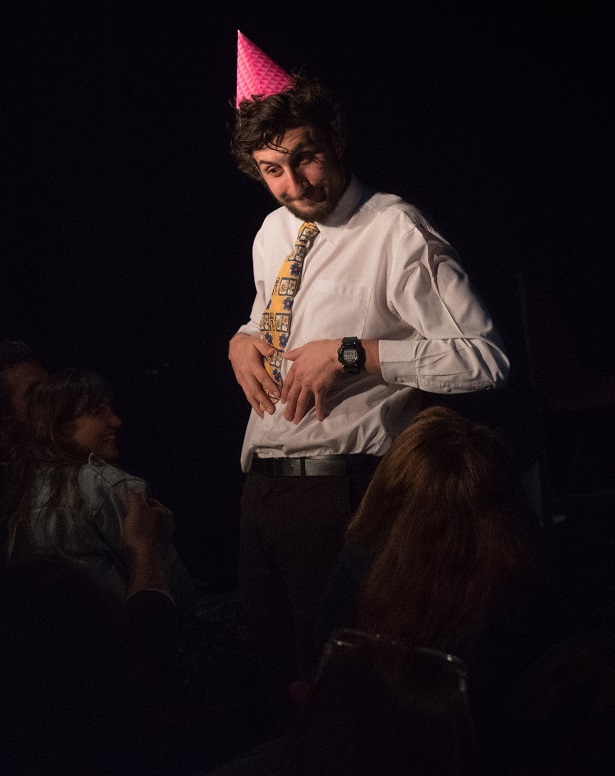 Sydney improv stalwart Jeromaia Detto warmly ushers his audience into the worlds he creates through character-based sketch comedy in a fantastic example of crowd work done right. Jeromaia Detto: Canapes & Cocktails is a beautifully light and accessible comedy show. It’s one that proves successful comedy doesn’t have to be either mainstream big-name stand-up, nor avant-garde fusion theatre. With his quick witted banter a real highlight, Detto is able to take as much—or as little—as the room is willing to give and run with it. Whether that’s in the form of an improvised slam poem about cheese or a stern lecture on being sun safe, this performer succeeds in delivering with fun, fresh, and unexpected puns. Detto’s pure physical comedy could do with a little work. While he pulls off some appropriately low-rent mime to great effect, his bigger, bolder gestural pieces were lacking some polish. Still, this didn’t significantly detract from our enjoyment of the show. After all, this isn’t a pure clowning affair. Nor, really, is it pure improv comedy. Detto brings out a series of weird characters, presenting each to his crowd like a shiny new toy, and inviting them to play. And play along we do, with some moments feeling more like a bunch of mates hanging out in the back room of a pub and being silly than a group of strangers seated in an orderly fashion ahead of a stage. This show is structured very effectively, with a sequence of recurring scenes that serve as brief intermissions and bookends to the performance, interspersed between greater leaps of the imagination. Despite running slightly over the scheduled run time, it flew along at a cracking pace. With a solid smattering of puns, sight gags, and outrageous accents supplementing the character-based core of the show, Jeromaia Detto: Canapes & Cocktails is a hugely entertaining solo debut tour. Detto’s certainly one to watch, both now and into the future.